Jihadi hate for non-Muslims is not limited to the Islamic State, which U.S. leadership dismisses as neither a real state nor representative of Islam. Rather, it's the official position of, among others, Saudi Arabia — a very real state, birthplace of Islam, and, of course, "friend and ally" of America. Saudi Arabia's Permanent Committee for Islamic Research and Issuing Fatwas — which issues religious decrees that become law — issued a fatwa, or decree, titled, "Duty to Hate Jews, Polytheists, and Other Infidels." Written by Sheikh Abd al-Aziz ibn Baz (d. 1999), former grand mufti and highest religious authority in the government, it still appears on the website. 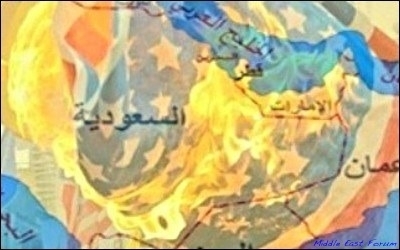 According to this governmentally-supported fatwa, Muslims — that is, the entire Saudi citizenry — must "oppose and hate whomever Allah commands us to oppose and hate, including the Jews, the Christians, and other mushrikin [non-Muslims], until they believe in Allah alone and abide by his laws, which he sent down to his Prophet Muhammad, peace and blessings upon him." To prove this, Baz quotes a number of Koran verses that form the doctrine of Loyalty and Enmity — the same doctrine every Sunni jihadi organization evokes to the point of concluding that Muslim men must hate their Christian or Jewish wives (though they may enjoy them sexually). These Koran verses include: "Do not take the Jews and the Christians for your friends and allies" (5:51) and "You shall find none who believe in Allah and the Last Day on friendly terms with those who oppose Allah and His Messenger [i.e., non-Muslims] — even if they be their fathers, their sons, their brothers, or their nearest kindred" (58:22; see also 3:28, 60:4, 2:120). 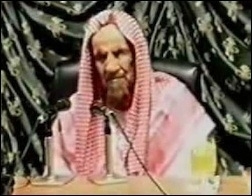 Despite documenting its official hatred for all non-Muslims (albeit on a website virtually unknown in the West), in the international arena, Saudi Arabia claims "to support the principles of justice, humanity, promotion of values and the principles of tolerance in the world," and sometimes accuses the West for its supposed "discrimination based on religion." Such hypocrisy is manifest everywhere and explains how the Saudi government's official policy can be to hate Christians and Jews — children are taught to ritually curse them in grade school — while its leading men fund things like Georgetown University's Prince Alwaleed bin Talal Center for Muslim-Christian Understanding (the real purpose of which appears to be to fund influential "Christian" academics to whitewash Islam before the public). Our other "good friend and ally," Qatar, also officially documents its hate for every non-Muslim — or practically 100 percent of America's population. A website owned by the Qatari Ministry of Awqaf and Islamic Affairs published a fatwa titled "The Obligation of Hating Infidels, Being Clean of Them, and Not Befriending Them." Along with citing the usual Loyalty and Enmity verses, the fatwa adds that Christians should be especially hated because they believe that God is one of three (Trinity), that Christ is the Son of God, and that he was crucified and resurrected for the sins of mankind — all cardinal doctrines of Christianity that are vehemently lambasted in the Koran (see 5:72-81). Incidentally, this same Qatari government-owned website once published a fatwa legitimizing the burning of "infidels" — only to remove it soon after the Islamic State justified its burning of a Jordanian pilot by citing several arguments from the fatwa. In short, it's not this or that "radical," who "doesn't represent Islam," or isn't a "real state," that hates non-Muslim "infidels." Rather, it's the official position of the governments of Saudi Arabia and Qatar, which are presented to the American public as "friends and allies." Thus, as American talking heads express their "moral outrage" at Donald Trump's call "for a total and complete shutdown of Muslims entering the United States until our country's representatives can figure out what is going on," perhaps they should first consider the official position of foreign Muslim governments — beginning with U.S. "friends and allies" — concerning Americans: unmitigated hate and opposition "until they believe in Allah alone and abide by his laws." That might explain why the majority of terrorism is committed by Muslims and why the majority of Americans support Trump's measures.